I got an interesting question on a Dallas Morning News chat this week about Cowboys wide receiver Dez Bryant. I was asked if I had any concerns about Bryant after the first game of the season because he had two catches for 43 yards against the New York Giants. I went and looked at the NFL.com Gamebook, and Bryant got nine targets. Jason Witten had nine targets and caught seven, which included a touchdown. If we go deeper into that, it shows Witten averaged just 8.4 yards a catch and his longest was 12 yards, which happened to be his touchdown catch in the second quarter. Bryant’s two catches averaged 21.5 yards, and his longest was 35 yards. In the fantasy football world we live in, fans tend to forget who some of the best cornerbacks in the game are. Janoris Jenkins of the Giants knows how to play Bryant. Jenkins last season held Bryant to two receptions for 18 yards as the Giants swept the two-game series. If we are being fair, in the 2017 opener, Bryant beat Jenkins on what should have been a touchdown, but Cowboys quarterback Dak Prescott missed him with a high pass in the end zone on a third and goal play from the 3-yard line. Sunday, the Cowboys are facing the Denver Broncos' Pro Bowl tandem of Chris Harris Jr. and Richardson Berkner alum Aqib Talib. They are just the second pair of cornerback teammates in NFL history to earn three straight Pro Bowl nods. The Broncos gave up three passing scores in the season opening win against the Los Angeles Chargers but only two went to wide receivers. Overall, Chargers quarterback Philip Rivers only passed for 192 yards on 33 pass attempts. 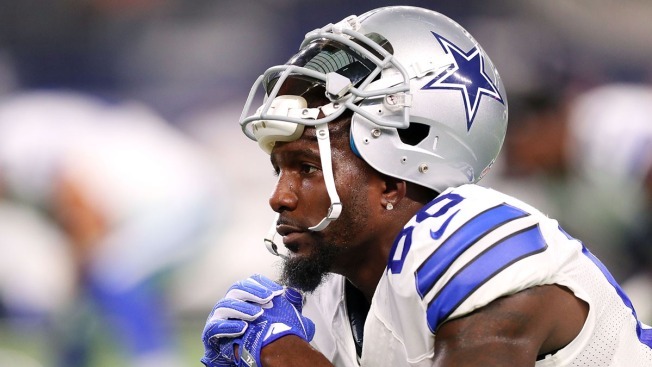 One part of me thinks it could be tough sledding for Dez Bryant this Sunday in Denver in terms of posting big numbers. The other part of me remembers one of his best games came against the Broncos on Oct. 6, 2013, when he torched the Denver secondary for 141 yards and two touchdowns. Keep in mind, Talib was playing for New England in 2013, not Denver. Here is stat that anybody who has him in a fantasy league: In 23 career games facing top-10 pass defenses, Dez Bryant has averaged just 3.5 receptions for 47.8 receiving yards per game. Next week, the Cowboys face Patrick Peterson and the Arizona Cardinals. Peterson is one of the best corners in the NFL, and I would expect him to follow Bryant all over the field. Peterson has been to six Pro Bowls and been named All Pro three times. Don’t look for big numbers from Bryant when they meet up on Monday Night Football. September could be a tough month statistically for #88, but his DB matchups get easier after that.